Milwaukee has no shortage of high-quality Thai restaurants. Whether you are in the mood for a trendy spot with interesting renditions of classic dishes or a quick lunch buffet with homemade Thai staples, there’s a Milwaukee Thai restaurant for everyone. Read below to learn about a few of the city’s best options for Thai cuisine. Located on the upper east side, Thai Kitchen has been slinging Thai food to locals and University of Wisconsin-Milwaukee students alike since 2002. If you plan on visiting this restaurant, try to go as a group so you can sample as many of the dishes off the extensive menu as possible. Vegetarians will also delight in seeing over twenty-five meat-free dishes to choose from. With most dishes on the menu under $12, you can also plan on having dinner and grabbing something for lunch the next day without breaking the bank. It’s a super popular place to for Thai takeout in Milwaukee but if you dine in to make sure to try the local Thailand beer Chang it’s only $3 and it completes your Thai dinner. All dishes are made to order so request whatever spice level you are comfortable with, we typically order hot and it’s pretty hot. We love everything on the menu and our favorites are green curry, Penang curry, Pad Thai, fresh spring rolls, and volcano chicken. If order the papaya salad tell them to go easy on the fish & oyster sauce. The kitchen is open for lunch and dinner. EE-Sane Thai-Lao Cuisine has been a favorite Thai eatery on Milwaukee’s lower east side for quite a few years. Don’t let the humble exterior fool you since inside you can expect well-executed Thai dishes at an affordable cost. Most small plates, like salads and satays, cost less than $8, and most larger plates are less than $15. The Larb is one of the restaurant’s more popular offerings, which gives you a choice of chicken, beef or pork with lime juice, onion, cilantro, mint, galangal and ground-roasted rice served with lettuce and steamed rice ($11.95). For an affordable night of Thai food and beer, check out EE-Sane. Tuesday through Thursday 11:00 am to 9:00 pm, Friday 11:00 am through 10:00 pm, Saturday noon through 10:00 pm, or Sunday 3:00 pm through 9:00 pm. The King & I is probably Milwaukee’s most famous Thai restaurant and its located in the center of Downtown Milwaukee, making it especially convenient for out-of-town travelers. In 1988 when it opened, The King & I was the city’s only Thai restaurant in Milwaukee, yet it remains one of the city’s most popular options all of these years later. Appetizers are less than $9, with entrées ranging from $14 to $28. Try the crispy squid with plum sauce appetizer ($7.95) before diving into the restaurant’s signature dish of Volcano Chicken, which provides you a sizzling platter of breaded chicken and vegetables in a delightful sauce ($16.95). If visiting the city for only a couple of nights, The King & I should be on your to-do list. 830 N. Old World 3rd St. Hours are Monday through Friday 11:30 am to 10:00 pm, Saturday 4:00 pm through 11:00 pm, and Sunday 4:00 pm through 9:00 pm. Thai-Namite is slightly newer to the Thai restaurant scene in Milwaukee yet has quickly become a popular destination for both lunch and dinner. 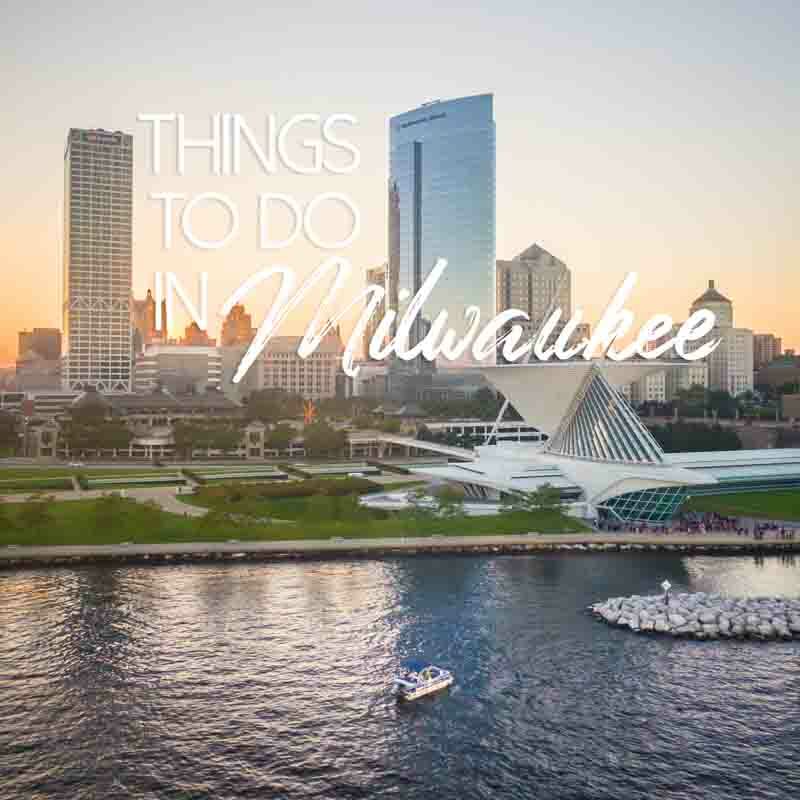 There are three locations to choose from: Brady street, Wauwatosa just west of the city, and one in the Milwaukee Public Market in the Historic Third Ward. Thai-Namite offers newer renditions of classic Thai dishes, a great cocktail menu (at select locations), and as a “fusion” restaurant, serves up quality sushi as well. Thai-Namite is perfect for a quick and healthy lunch or for date night. The Thai-Namite Curry is a must-have, which comes with chunks of beef with onion, potato, carrot, cashew nut, coconut milk and Mussaman curry sauce served with roti ($12). 932 E. Brady St., 8725 W. North Ave., 400 N. Water St. Check online for the hours at the specific location you plan on visiting. Appe ‘Thai’ is tucked away in a small strip mall slightly north of Milwaukee in the suburb of Brown Deer. The restaurant uses the freshest ingredients to craft both expected and less-familiar Thai dishes. Appetizers, soups, and salads range between $4 and $9. Although the appetizers are delicious, in the winter months it’s especially appealing to get the Tom Sabb, a country-style hot and sour soup with pork spare ribs. Dinner entrées run from $12 to $27 and range from rice and noodle dishes to chef specialties like Gai Yang, a half rotisseries chicken served with a flavorful dipping sauce with either sticky or jasmine rice ($14). Appe ‘Thai’ is open for lunch and dinner Monday through Friday 11:00am-2:30 and 4:30 pm through 9:00 pm, and Saturday 4:30 pm to 9:00 pm. Do you love Thai food as much as us? What do you think is the best Thai restaurant in Milwaukee?